2016 marked the 10th anniversary of Awful Purdies, an eclectic quintet of female multi-instrumentalists who take turns stepping up as a songwriter and lead singer. The ensemble "purdifies" each song they meet, filling in sweet harmonies as they let the song lead the way. While one song might require channeling the Andrews Sisters or Gillian Welch, another song might reach out to a rock-a-billy or Motown sensibility. 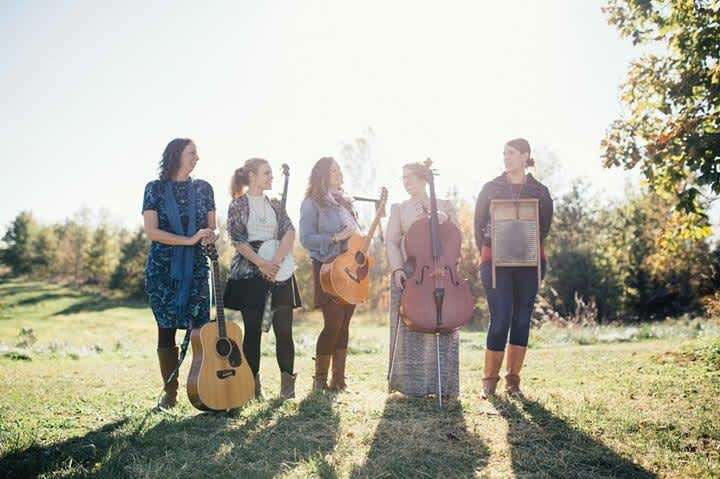 With "The Katies" (Katie Senn on cello and Katie Roche on accordion) laying down each song's base, their songs sound full and orchestrated, while Nicole Upchurch's banjo, Marcy Rosenbaum's mandolin and Sarah Driscoll's guitar skillfully root Awful Purdies in the modern folk genre. Ten great years, three albums, numerous compilations, a major grant from the Iowa Arts Council, and many film and television placements later Awful Purdies hope to continue to share the music they make together for a lifetime.